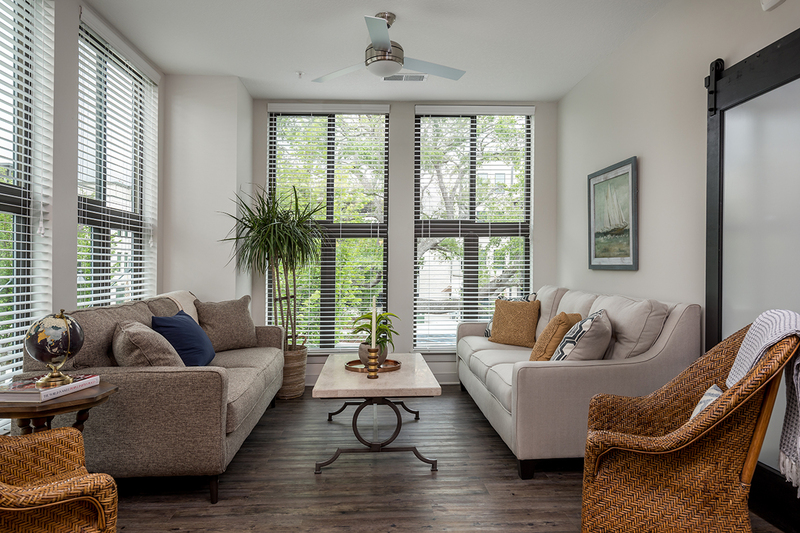 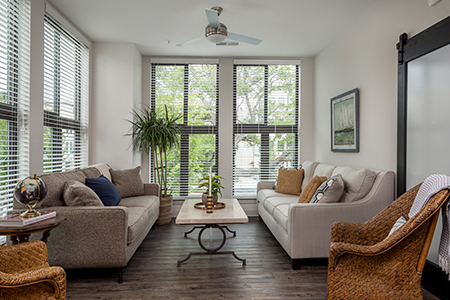 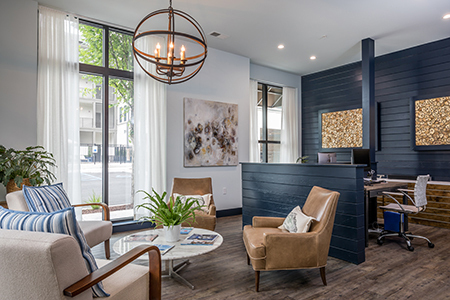 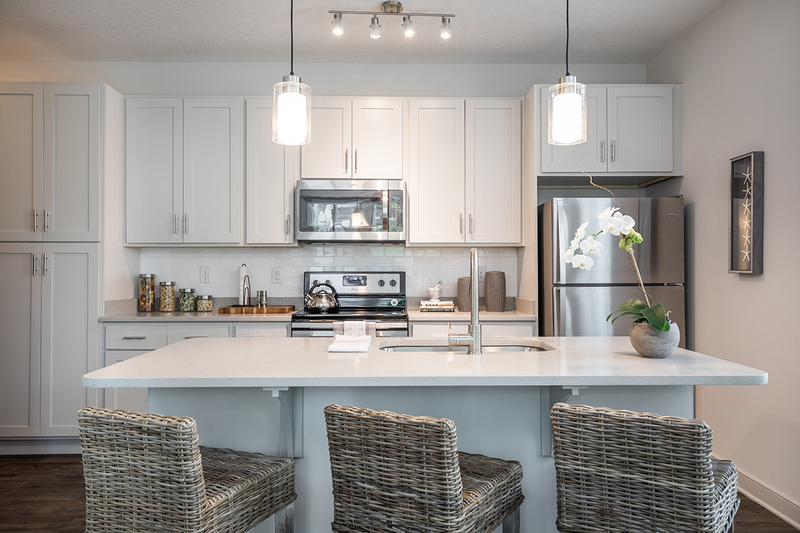 Each unit is stylishly appointed with neutral tones and premium finishes like stainless steel appliances, wood floors and quartz countertops. 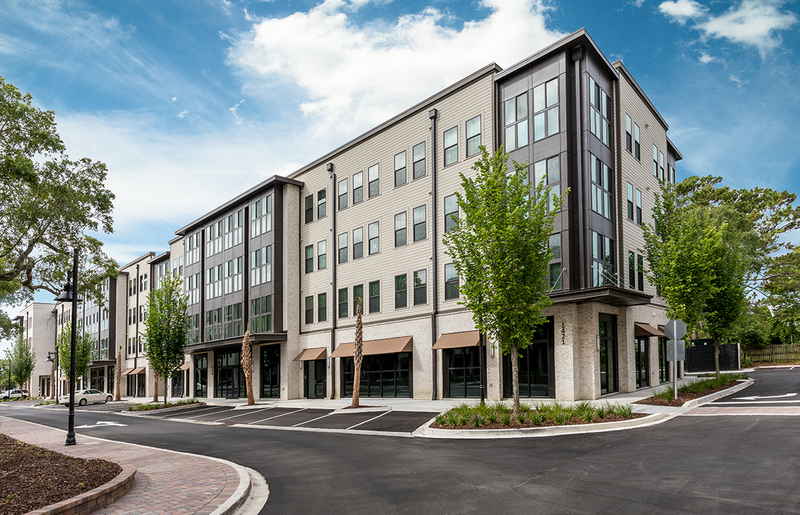 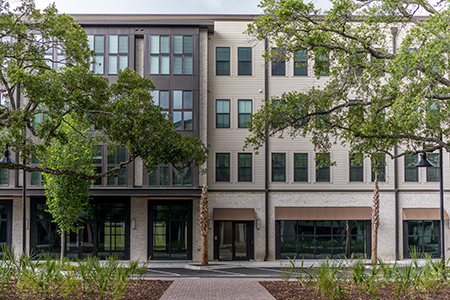 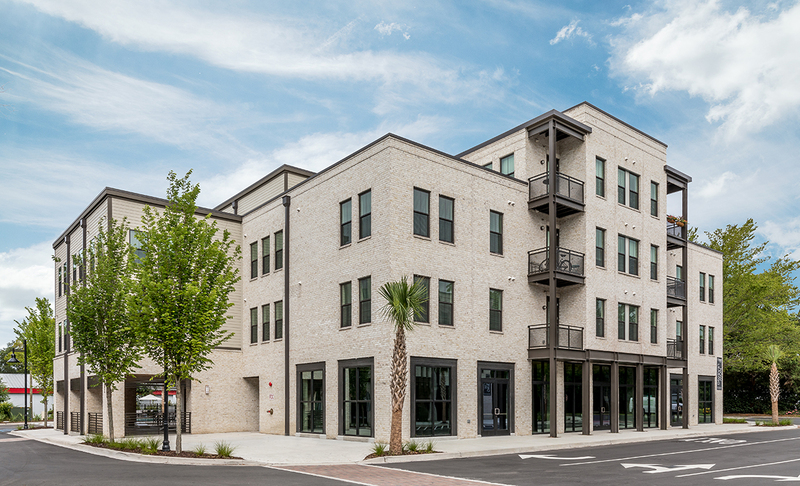 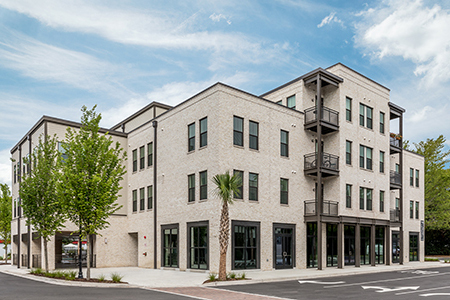 Residents will be just across the river from Charleston and have easy access to retail and dining via a private walkway. 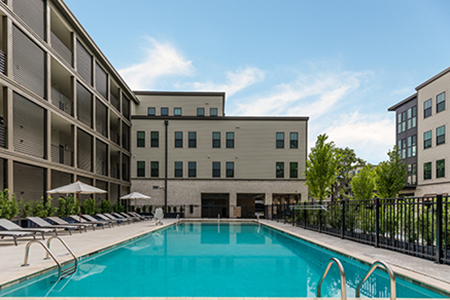 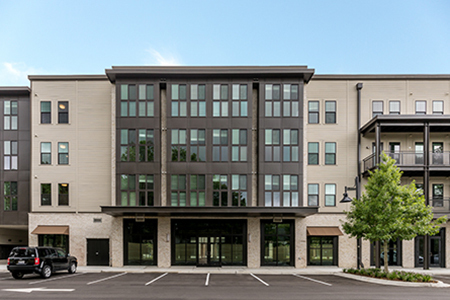 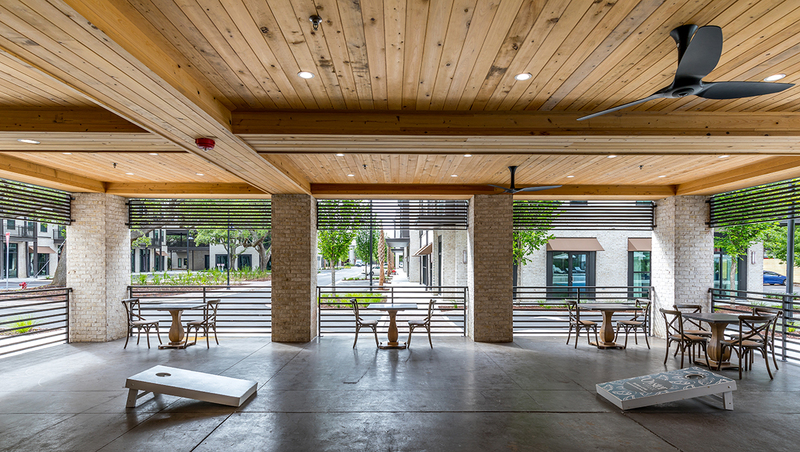 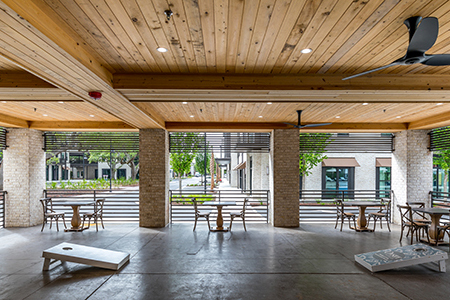 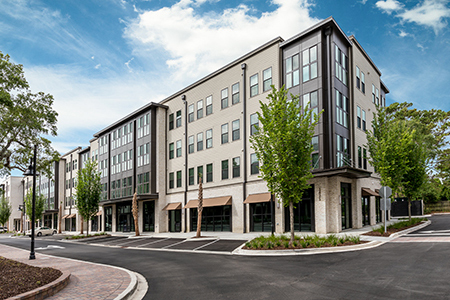 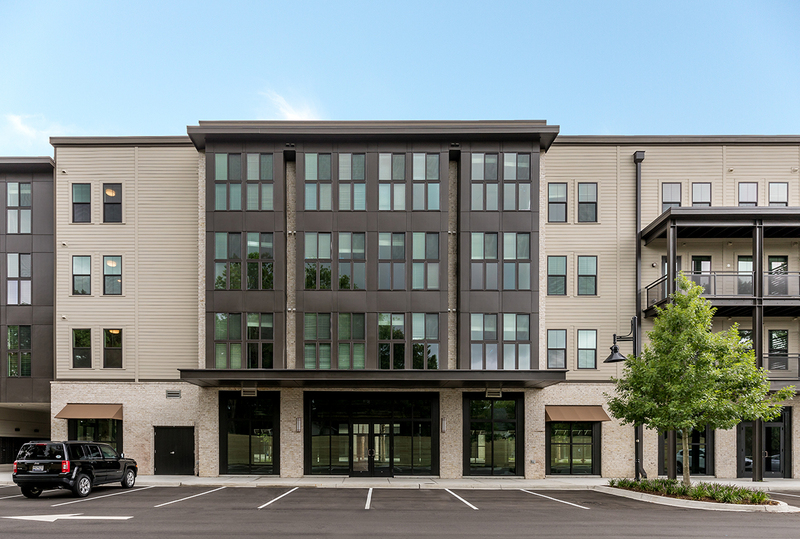 This five acre site features seven, four-story buildings with a private parking garage. 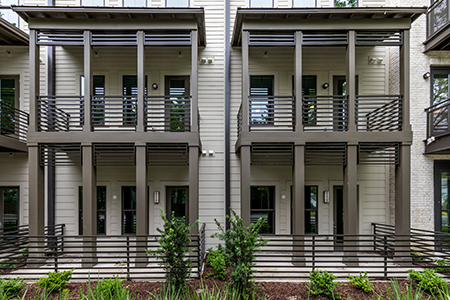 The architectural style is upscale and modern with clean lines and a flat roof. 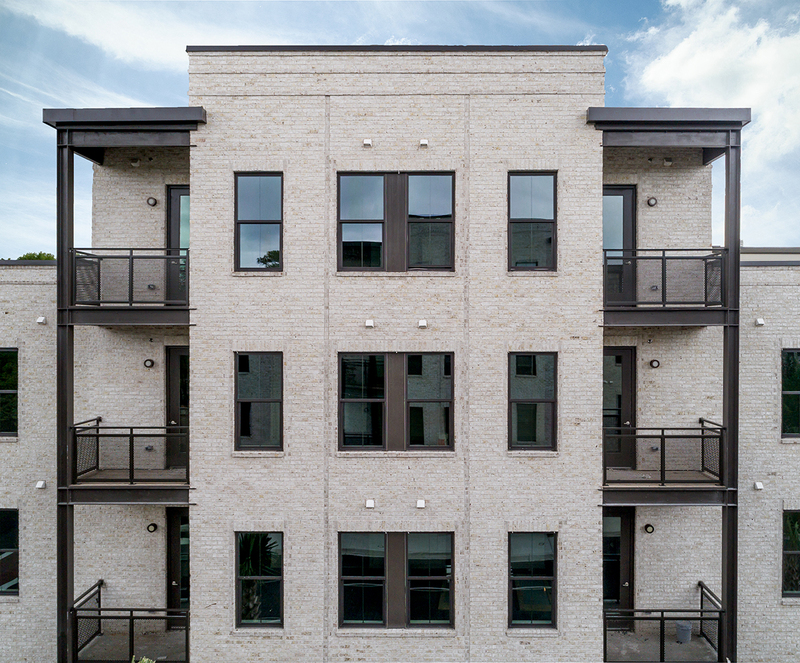 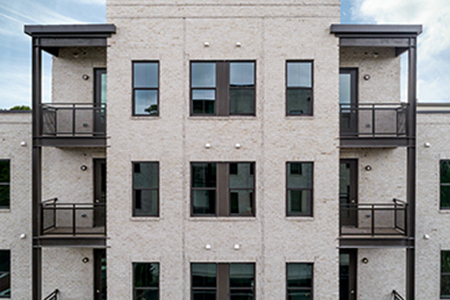 The exterior materials are a mix of brick, siding and metal that yield a very urban look.